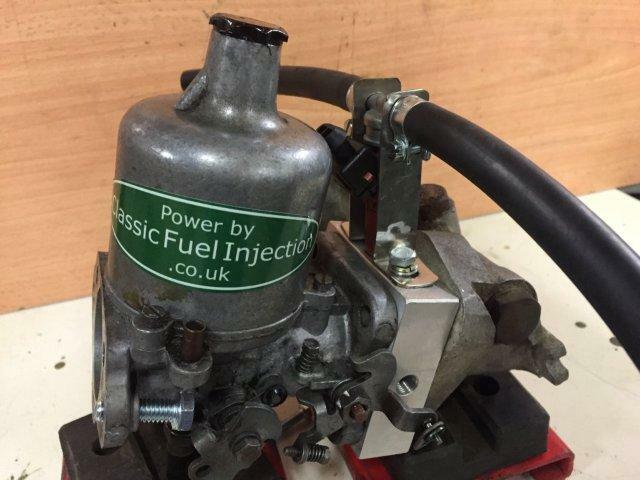 With our bespoke adaptors you can easily convert your existing SU or Stromberg equipped vehicles to fuel injection. These adaptors are our own unique design and fit between the inlet manifold and existing carburettor providing a simple and almost " original look " method of mounting the fuel injectors. Using these adaptors in conjunction with our kits virtually any vehicle currently fitted with these carburettors can be converted to fuel injection. With our bespoke adaptors you can easily convert many vehicles currently fitted with single choke down draft carburettors from Solex and Weber and others to fuel injection. With universal injector fitment you can easily convert most vehicles where a bespoke adaptor is not available or there are other constraints. 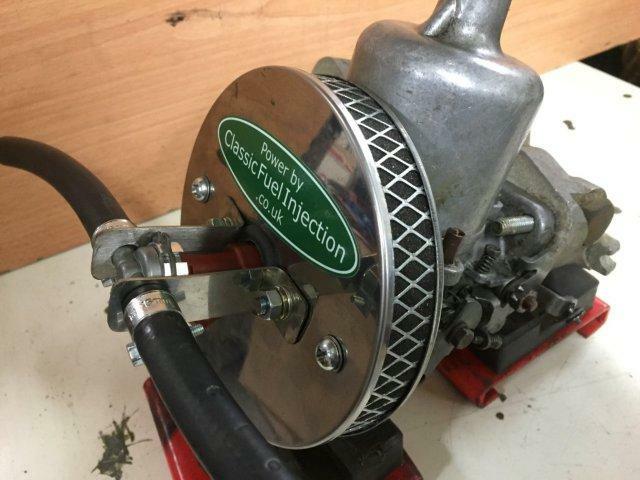 This universal method of fitment can be easily used for both side draft and down draft carburettors. Typically the fuel injector is mounted in the air filter or inlet trunking feeding into the carburettor mouth. This universal fitment gives a lower cost and generally more flexible solution when compared to our bespoke adaptors or throttle body solutions. We can supply part or full kits based on this universal fitment which are available in our Online Shop.